Mamma LOVED this classic community playground before the upgrade, but now it is EVEN BETTER! 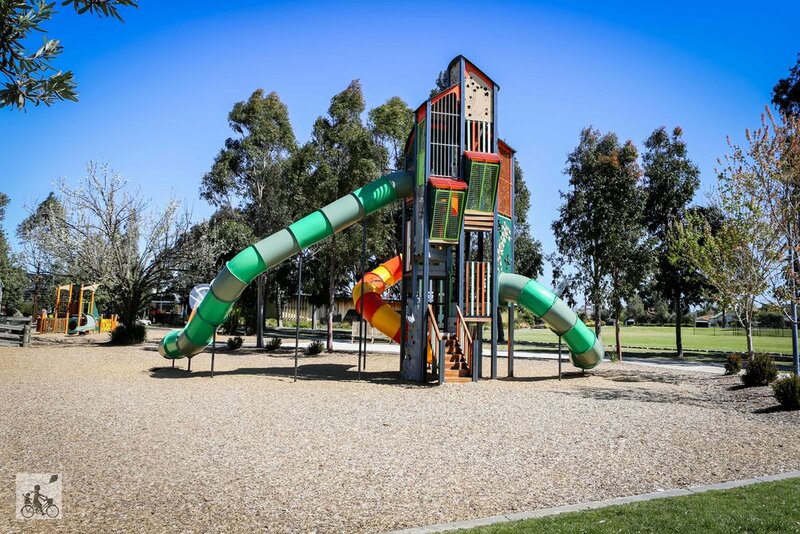 The Cardinia Community Playground is based on a classic wooden framed play space with heaps of twists and turns and things to climb over. The giant semi-trailer is still here and the castle still stands tall. Just not quite as tall as the MASSIVE triple slide tower! This epic addition is one of the tallest we have seen and it has been confirmed by a pint sized park-tester, one of the fastest as well! 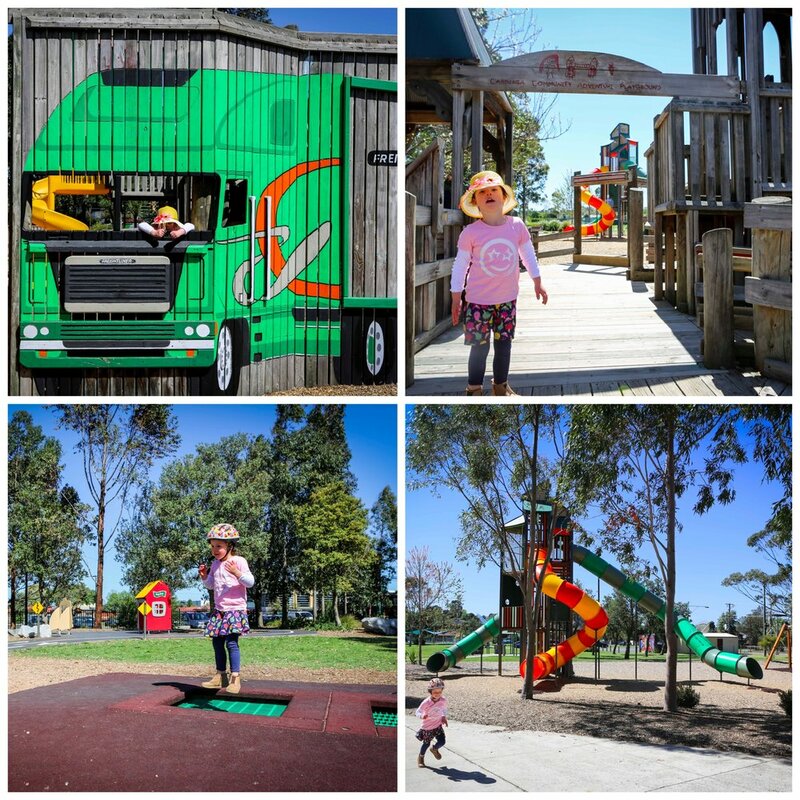 When you think it couldn’t get any better, we spied a junior playground shaped aa a boat, in built trampolines, a funky orange swing, and possibly the coolest traffic playground around. The simple track is ideal for preschoolers learning about the left and right sides of the road. Alongside the trail is your community buildings too. Mamma can see plenty of imaginary play at the shops, the bank and at the ice-cream van! Mamma's special mention: Mamma loves it when there is a library right next door to a park, let alone a swimming pool, big kid skate park PLUS a community market held over the fields every Thursday.